The timeline to the bank guarantee. “Standards and Poor, the credit rating agency, gave an unfavourable rating for Ireland in August 2010 when Irish bond yields, Irish Government bond yields increased sharply. At the end of September 2010, the Government announced its intention to withdraw from the markets as a tactical move since we were fully funded until mid-2011. At the end of September, higher costs of the bank when the recapitalisation programme were announced. Mid-October, Chancellor Merkel and President Sarkozy declared that a new permanent Europe-area financial rescue fund was to be set up by 2013 and would require private sector creditors to accept some debt restructuring. This statement was known as the Deauville Declaration. It was clarified afterwards that the debt-restructuring provision would only apply to new debt after 2013. The original statement had caused further market jitters and the damage was done and bond yields jumped further. We’d indicated in September 2010 that the EU Commission and the ECB that we were preparing a four-year national recovery plan to be published in November, prior to the Budget which would show that we were committed to an adjustment programme and that we’d bring the Budget deficit down below 3% by 2014. 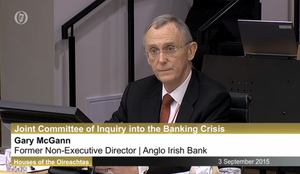 On the fourth of October, Minister Lenihan received a letter from the ECB president expressing concern about the situation of Irish banks. On the 8th of November, the EU Commissioner Ollie Rehn visited Dublin and on the 11th of November the bond yield rose to 8.6%. And Governor Honohan suggested that bond yields would fall to more sustainable levels if the planned fiscal adjustment was implemented. On the 13th of November, there were internal discussions with myself and Minister Lenihan and key officials. We were clear that if discussions were to take place, it would be, if you like, talks about talks, in other words, we made no commitment at that point of formerly applying for assistance until we were satisfied of what the authorities had in mind and the conditionality attached to it. 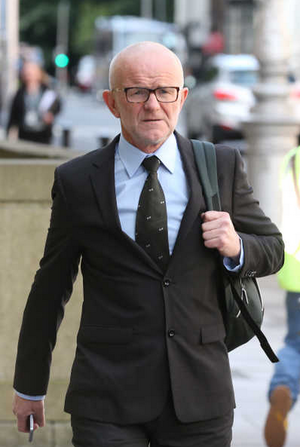 The off-the-record briefings were clearly trying to play the situation where a formal Irish approach for assistance was being portrayed as a fait accompli by those informed sources without prior agreement and conditionality. This was unacceptable to us. We were not against exploring the issues with the EU authorities but neither should they presume or anticipate what decision the Irish Government would make. We wanted to know what they had in mind before we would indicate what decision we would be able to take. We were looking to explore what possibilities there were before giving our considered view. At the Cabinet meeting on the 16th of November, the Cabinet was brought up to date about the situation that was developing. I did not like the continuous anonymous briefing against Ireland, which I saw as an attempt to bounce us into a decision before we got further clarification. This perception was further reinforced when the Central Bank governor gave an interview on RTE from Frankfurt on the morning of the meeting in Dublin by saying that, while it was a matter for the Government in the first instance, he said he believed a deal would be done and a loan would be agreed. This development showed the Government in a bad light because the interpretation given to events that we were keeping what was going on away from people. In fact, we were trying to put ourselves in the best position we could before any questions of formally requesting assistance. We wanted to know exactly what we were getting before we agreed to formally apply for a programme. On the 19th of November, the ECB president, Mr Trichet sent a letter to Minister Lenihan threatening withdrawal of ECB funds in the absence of a formal bailout request. We knew that it would be difficult but the plan was robust and rigorous and we were confident that the growth prospects in it were achievable and could complete the journey begun in 2008, to try and turn the country around. We had a Government meeting on Sunday, the 21st of November and made the decision to formally request EU/IMF assistance. Based on the progress that had been made in Dublin we decided to formally enter talks. Efforts had been made from time to time to put our corporation tax rate on the agenda, which we refused to countenance. Brian Cowen at the banking inquiry this morning. 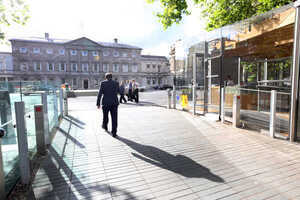 The Department of Finance discussed methods of addressing financial difficulties at Anglo Irish Bank on the same day in 2008 that then minister for finance Brian Cowen met Anglo officials at a social function. 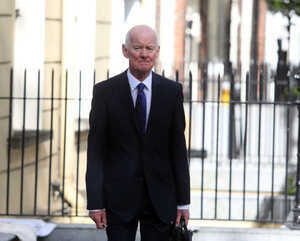 Mr Cowen was copied into emails from departmental officials hours before he attended a board dinner at the bank’s headquarters at St Stephen’s Green on April 28th, 2008. 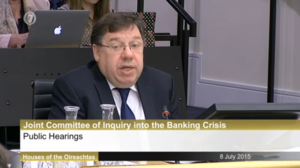 Posted in Misc and tagged Banking Inquiry, Brian Cowen at 11:03 am on July 8, 2015 by Broadsheet. Surprised the boozy head on him can actually remember 2008. The journey was the destination. Financially beaten blue and black. Oh, I kept the pensions for another day! How sloppy had we become in the Celtic Tiger that this man was Minister of Finance and then Taoiseach? Clearly polticians are a mixed bunch at the best of times but this joker was barely even trying. The electorate was like a kitten following the movement of a fistful of cash.